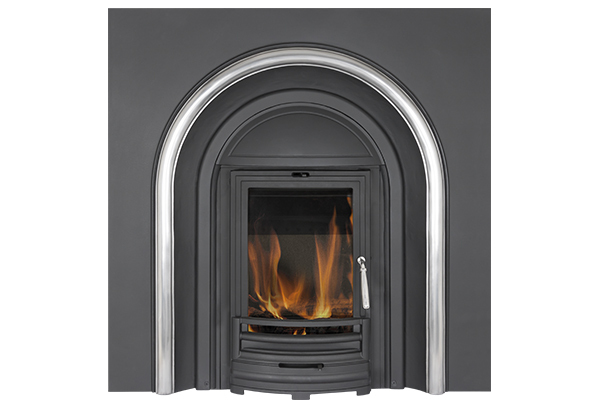 The Majestic Integra is a plain arched insert, in a matt black finish, but with the outer band alone polished. This rather simple finish allows the Majestic to suit both traditional and contemporary room settings. 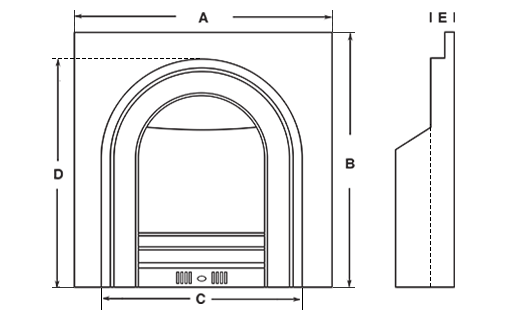 The mantel shown is the Flat Victorian in Turkish limestone. 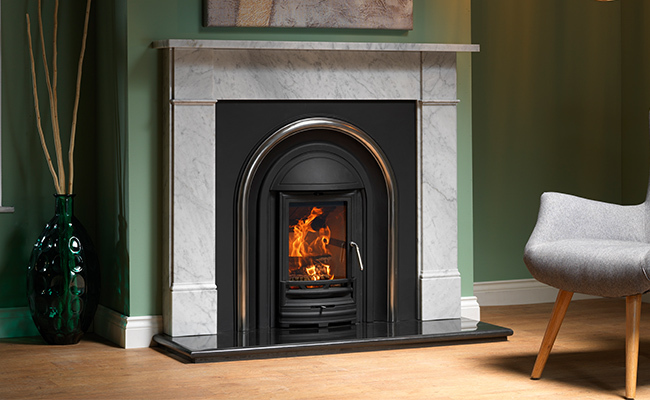 This mantel is also available in polished Black Granite, Italian Carrara marble and Mocha Beige micro marble.